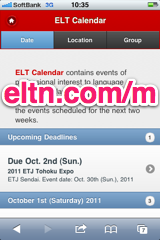 ELT Calendar Suita City, Osaka Prefecture, for language teachers in Suita City. Events of professional interest to language teachers in Suita City. There are no upcoming events scheduled for Suita City. You could try the Osaka Prefecture Calendar, or use our advanced search page. Here are some of the past events in Suita City. First line of description: JALT Business Communication SIG, Kansai University, SIETAR Kansai, and the JALT Osaka and Kyoto chapters are proud to present the "Business and Intercultural Negotiation" conference, to be held July 1st and 2nd 2017, at Kansai University, Osaka. First line of description: Back to School is Osaka JALT's annual one-day mini-conference which aims to share ideas on a wide range of topics to help everyone start the new school year on a positive note. First line of description: Back to School is one of Osaka JALT's annual one-day mini-conferences which aims to share ideas on a wide range of topics to help everyone start the new school year on a positive note. 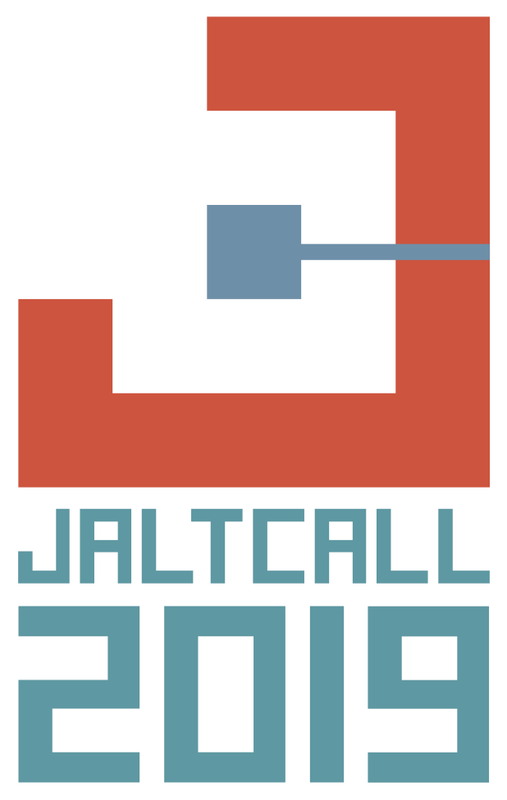 First line of description: JALT's Osaka Chapter, in collaboration with the Framework and Language Portfolio SIG and Task Based Learning SIG, is proud to sponsor the second annual Back to School event. First line of description: Reserve Sunday, October 17 in your schedule book! 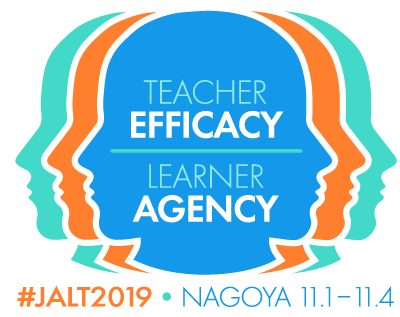 To whet your appetite for tasty teacher and learner development, a delicious Teacher Development Day event, A Moveable Feast, is being whipped up by JALT's Learner Development and Teacher Education SIGs in collaboration with Osaka Chapter. First line of description: Please see day one for details. 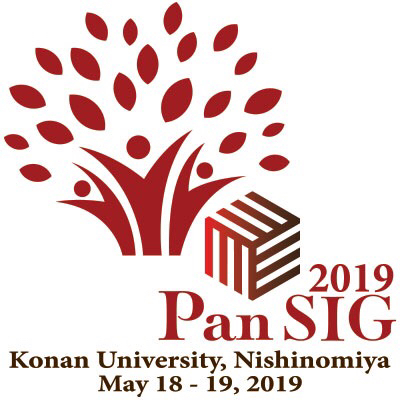 First line of description: The organizing committee of the JALT Pan-SIG Conference invites all interested applied linguistic researchers to submit presentation proposals for the 9th Annual Pan-SIG Conference, which will be held on Saturday and Sunday, May 22 and 23, 2010 at Osaka Gakuin University. First line of description: Linda Ohama, a Japanese-Canadian filmmaker and visual artist, will show and discuss her international award-winning film, Obaachan's Garden, the story of a remarkable journey of strength, love and determination of one woman's life of over 100 years. First line of description: On Sunday October 7, various paper presentations/discussions will be held as well as a closing panel discussion led by Prof.
First line of description: Commensurate with the objects and problems of investigation in interlanguage pragmatics, research methods in this domain are highly diverse and have attracted a good deal of attention as research objects in their own right. First line of description: The 4th annual Storytelling Festival and Symposium is presented by Osaka Gakuin University in cooperation with the Osaka Prefecture Board of Education and the Osaka and Kyoto chapters of JALT, and includes numerous teacher and student storytellers from Osaka prefecture and abroad. First line of description: Opportunities for learning L2 pragmatics: The roles of input and interaction. First line of description: This presentation will provide a brief overview of the six stages in the design, implementation, and evaluation of a genuinely task-based language teaching program: needs and means analysis; syllabus design; materials design; methodology and pedagogy; testing; and evaluation. First line of description: This presentation will address a number issues concerning attention to form in second language teaching.